One day each week during the winter months, I drive my wife to work at 6AM. 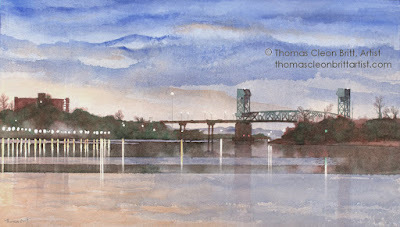 That gives me the opportunity (and incentive) to watch the sun rise from one of many possible vantage points near the beach or along the banks of the Cape Fear River. This painting is the result of one of those opportunities. 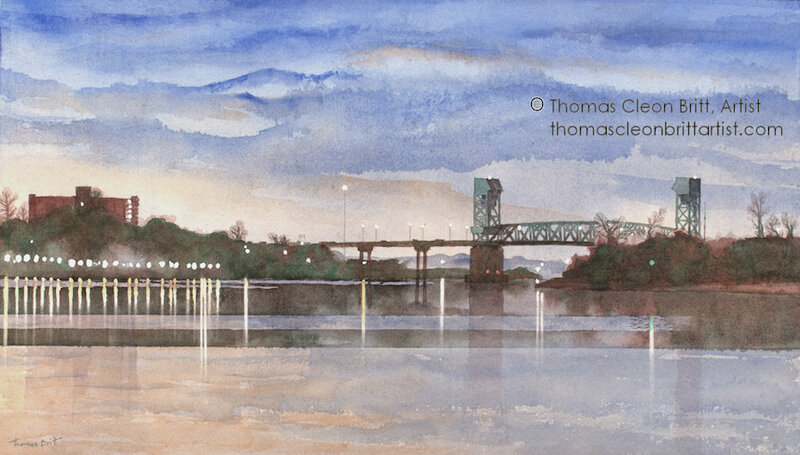 It is a view of the Cape Fear Memorial Bridge as seen from the Wilmington Riverwalk near the old Cotton Exchange, before sunrise in February.